There have been, reported today, two legionella outbreaks resulting in illness and, sadly, death. The BBC News published an article this morning, reporting the bacteria has been found in a Government Complex in Hong Kong; The threat was found only when a minister was taken ill last month, and hospitalised with the potentially fatal disease. "Hong Kong's Centre for Health Protection has been collecting water samples from various sites in the new Central Government Offices after Education Secretary Michael Suen was diagnosed with Legionnaires' disease last month. Samples collected from various toilets - including those at the office of Chief Executive Donald Tsang - tested positive for Legionella pneumophila, said a government statement. Other troublespots include water taps inside the kitchens of a canteen and the Dining Hall in the Legislative Council Complex." "The AR Diamante Beach Hotel in Calpe which is at the centre of the outbreak has been temporarily closed. A regional health authority spokesman said: 'The results of our investigation into the cases of Legionnaires' Disease in Calpe show it's an outbreak which has so far affected 14 people, ten British tourists and four Spaniards. 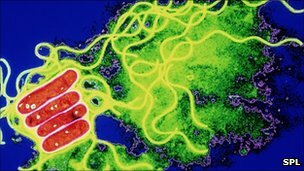 'Recently we've learned tests on three British people aged between 73 and 78 suffering pneumonia who died in hospital showed they had contracted Legionnaires' Disease. The pensioners aged 73 and 78 who passed away after getting Legionnaires' died from unrelated conditions. Only the death of the 76-year-old has been attributed to the disease. Relatives of the three victims are thought to have flown to Spain to be by their bedsides before they died." These reports should serve as a reminder to all, especially in hotel establishments, that assessing buildings for legionella is an important step in health and safety.